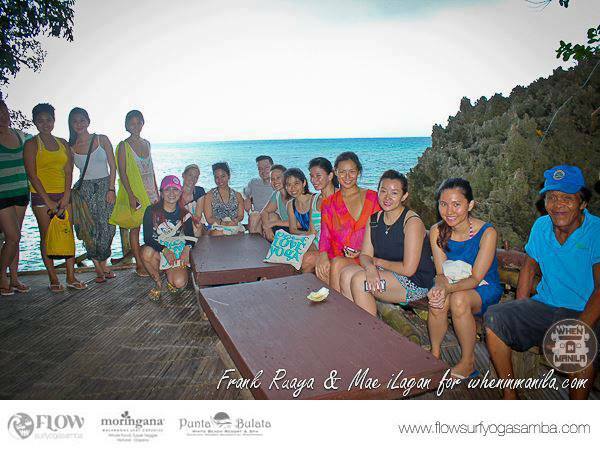 Another fun filled FLOW retreat has come to an end, this time from a Western Province of the Philippine Islands, Punta Bulata Resort and Spa in Negros Occidental. Dubbed as “Sugar Land of the country, the people proved to be very sweet, charming and accommodating. Setting the pun aside, we have never seen such hospitality before! This is certainly a place we vow to keep coming back to. Tom Zayco, the young but very approachable twenty-something manager of Punta Bulata resort joined us at the Punta Bulata coaster to fetch participants from the airport and greeted everyone with a robust voice. We proceeded to meet the rest of the crew at a meet up point in Bacolod city for people who had arrived a day earlier and a couple who took the ferry in from Iloilo. As soon as guests arrived the resort after a 3-hour drive, we were served with a choice of Tarragon Tea or fresh Lemongrass juice, both herbs harvested from their garden.Then our first scrumptious meal with vegetarian options were beautifully set in an very ethnic buffet using banana leaves and clay pots with hot rocks to keep our food warm throughout. After lunch, everyone checked in their beautiful Balinese-inspired luxe rooms at the Ayu Spa facing the infinity pool and the ocean. Some hurriedly booked their complimentary massages during the given free time before the rest of the activities. 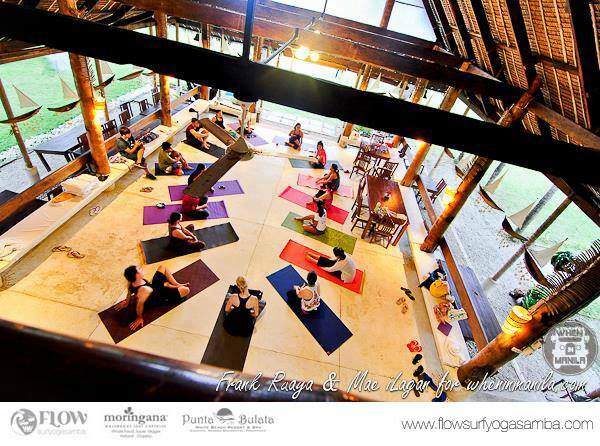 The opening circle before the sunset Yin Yoga gave everyone an opportunity to get to know each other. It was nice to see people from different age ranges and countries come together for this event. 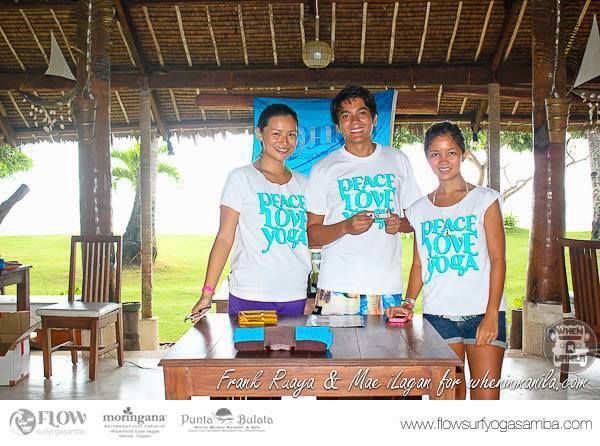 Since most of the people who joined have never done a Yin Yoga class, Monica gave an introduction on what Yin Yoga is all about and how it can be very beneficial to anyone especially for someone who is embarking on a new yoga practice. 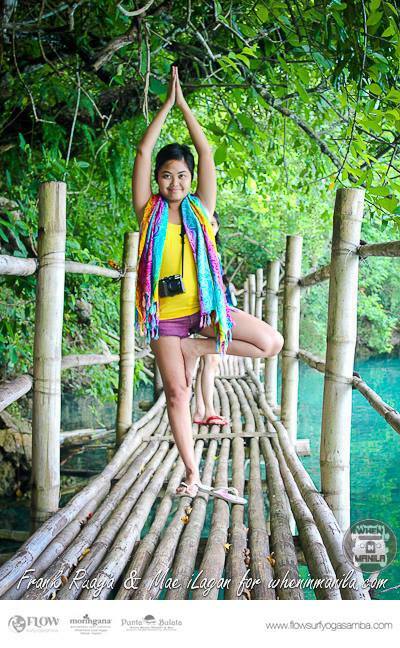 She sited the difference between Yin and Yang Yoga styles and said that you need both to have a balanced practice. 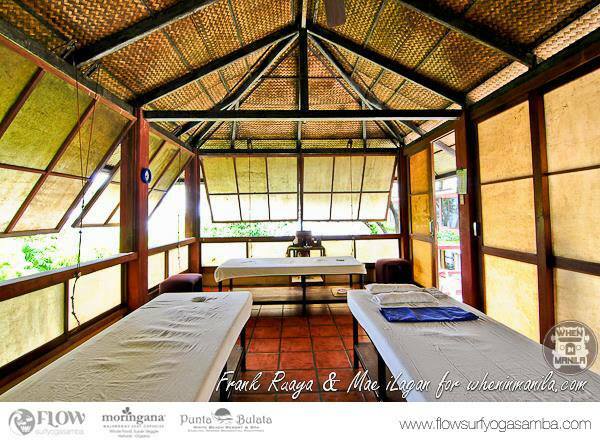 Then she led a 1 hour and 30 minute beginners Yin practice in the main open bamboo and thatch hall of Punta Bulata with ocean and garden views. People came out very refreshed and ready for a pesco-vegetarian healthy dinner. Of course, those who opted for a full vegetarian weekend had many dishes for fill with homemade dessert! After a filling buffet breakfast the next day, the FLOW girls, Monica and Noelle taught a workshop on Green Smoothies and Live Food Snacks. 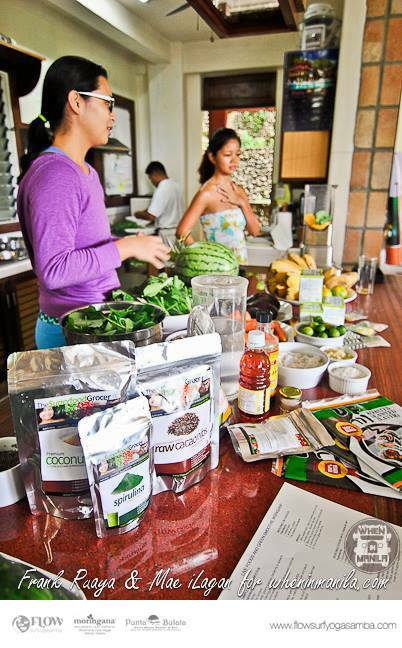 Participants learned how to make a simple green smoothie made from Moringana powder and local fruits, raw vegan sushi, watermelon shots and a raw vegan cashew dip suited for parties. 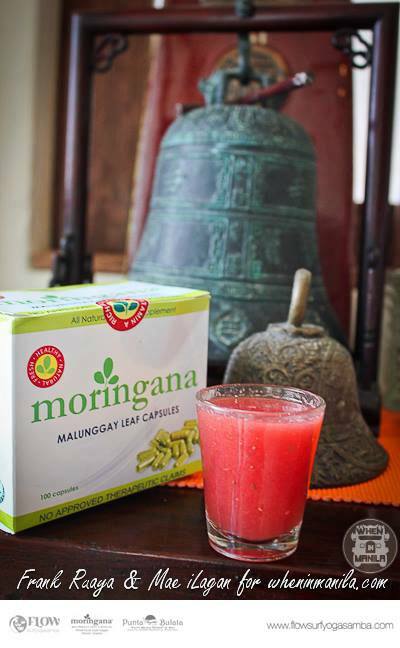 The Superfood Grocer provided us with superfoods to work with. Monica was able to whip up an extraordinary dessert made from vanilla help powder, chia seeds, coconut milk, spirulina powder, cacao nibs and maca powder – truly divine! Danjugan Island was next on the itinerary. 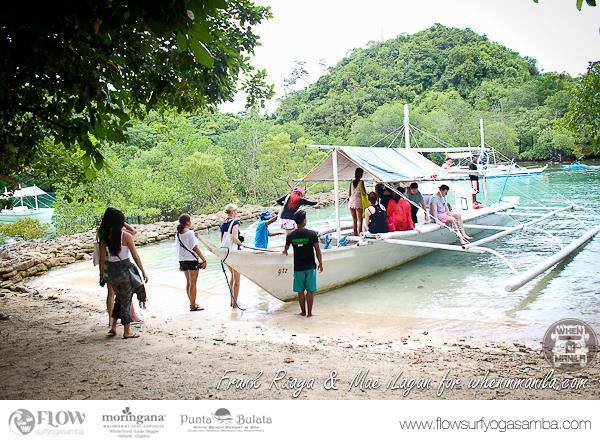 While others decided to join in on a dive excursion led by Marco Santos of Dive Expeditions run at the resort, the rest got into the boat and headed to the famous marine sanctuary for an island adventure. The weather proved to be challenging but this didn’t dampen our group’s spirits. During the hard pouring rain at Typhoon Beach, there was an impromptu yoga silhouette session. The next day, Monica taught a sunrise Vinyasa class before breakfast to sweat out toxins from the body in the cool rainy weather. Closing circle acknowledged everyone that came with premium prizes from sponsors. Our last meal was a memorable one, Fish and Vegetable kebabs served with soup, red rice, and melon sherbet for dessert. 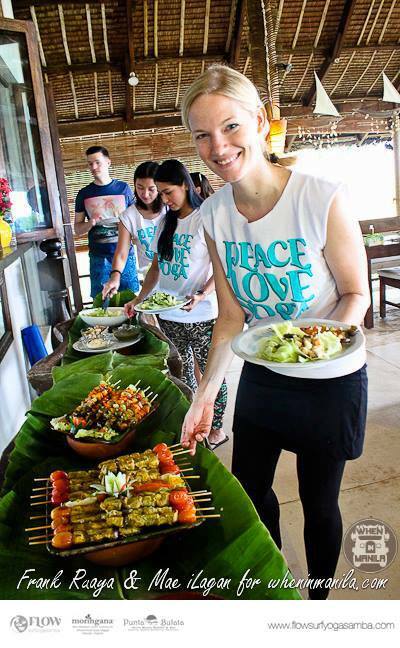 Thumbs up for Punta Bulata’s kitchen and staff! No one wanted to go home but everyone had filled their memory bank with new stories to go back to and friendships to last a lifetime.